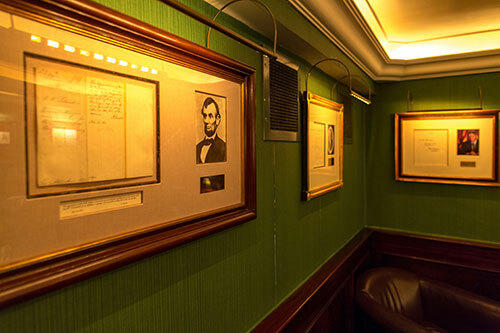 Experience real history in the plush surroundings of Shanahan’s The Oval Office bar where you are able to view original memorabilia commemorating the U.S. Presidents with Irish Ancestry. 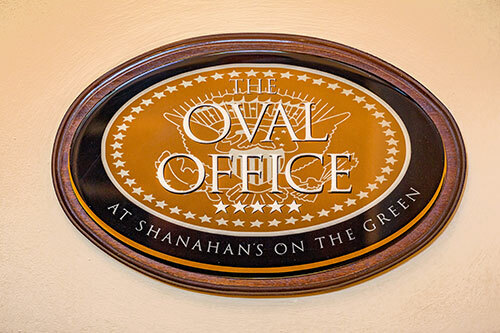 The Oval Office Bar is a celebration of Mr. Shanahan’s pride in his combined heritage of Ireland and America. The bar’s stunning centrepiece is JFK’s rocking chair, once housed in Air Force One. 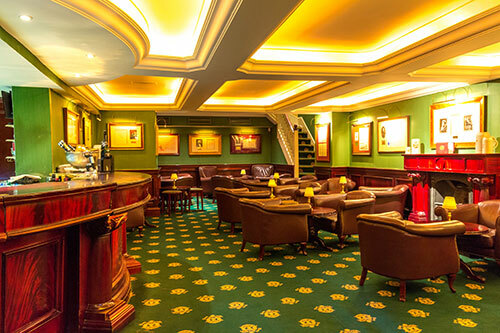 Soak up the unique ‘Oval Office’ atmosphere while savouring the bloodiest of ‘Bloody Mary’s’, a smooth Shanahan’s Single Malt Whiskey or a refreshing Stiegl Lager, exclusively imported from Salzburg, or why not try one of our magnificent Martinis as dry as the bartender’s humour! 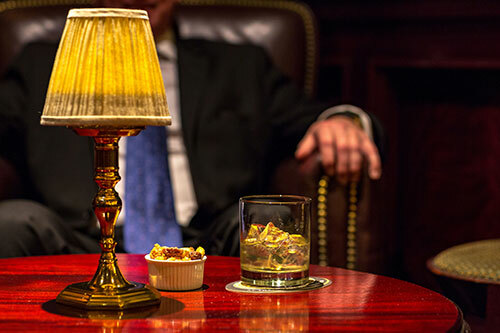 Sample both the à la carte and table d’hôte menus in the ‘Oval Office’ bar, while reclining in our luxurious leather armchairs, listening to the likes of Frank Sinatra and Tony Bennett, and experiencing authentic, warm Irish hospitality! 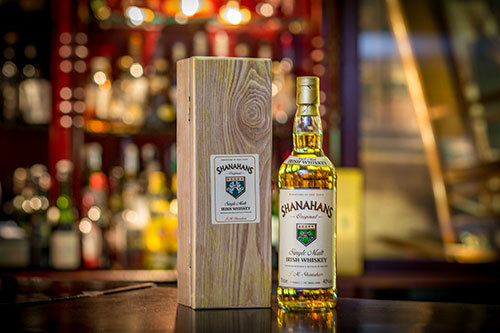 Created exclusively for our restaurant, we pour both a Shanahan’s Blended and a Shanahan’s Single Malt version of the spirit. Rated recently by Jim Murray of “The Whiskey Bible Fame”, the Whiskey scored an impressive 92/100 points! The Irish home of Salzburg’s finest beer, Stiegl! The Oval Office Bar boasts a full range of this brewery’s offerings. On draft we pour Stiegl’s flagship, Goldbrau, whilst in bottles we serve the Pils, Weisse, Goldbrau and Sport (Non-Alcohol) versions of the beer. A magnificent, full-flavoured Salzburg beer speciality with an original gravity of 12°. Stiegl Goldbräu is unrivalled for flavour and is wonderfully thirst-quenching. Yellowy gold in colour, mildly hopped, a refreshingly aromatic beer, a magnificent smooth head and a pleasant aftertaste; Stiegl Goldbräu is all about the enjoyment of beer at the highest level. The typical, lightly fruity Weissbier flavour, mild character and gentle tangy fizz all make the Stiegl-Weisse an immediate crowd-pleaser. This wonderfully refreshing Weissbier speciality is brewed according to the Bavarian purity law of 1516 using only water, hops, wheat and barley malts, and contains 5.1% alcohol by volume. The finest ingredients, over 500 years of brewing experience and the unmistakable 12° original gravity are what make Stiegl-Weisse distinctive: Step up to Stiegl-Weisse! Natural, refreshing and sporty. A non-alcoholic beer of the highest order! Sport-Weisse is a non-alcoholic beer and is characterised by its use of exclusively Austrian raw ingredients, gentle brewing procedures and a fresh and aromatic flavour. It is a perfect isotonic drink – particularly after sport. It’s a fruity, fresh, pleasurable and tasty, lightly malty non-alcoholic beverage with the typical looks, flavour and aroma associated with beer. In collaboration with Sinead O’Connell and Martin Deegan at Carrig Craft Brewery, The Oval Office Bar is proud to serve their excellent Carrig Lager, Bo Bristle, IPA and Rowers Ale. Promoting local brewing traditions, we believe that you will imbibe either (or all!) of these beers with satisfaction.